JetBlue and Coca-coca conjured a stunt in Penn Station, where they asked New Yorkers to “share a Coke with humanity.” It involved rigging up a vending machine to spit out two Cokes, prompting buyers to share one with another person. They wanted to test if the general rule of NYC transit, don’t accept gifts from strangers, holds. What did they find out? How do people connect with brands and advertisements? Through other people. Coke and JetBlue were able to do this in the video footage by showing a very human element in everyone: benevolence. The goodness in people is what was really inspirational. Coke and JetBlue did a phenomenal job of creating a connection between people and their brands. 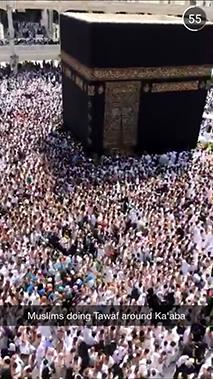 Every year, around 100 million Muslims make the pilgrimage to the sacred Saudi Arabian city of Mecca for prayer. On Monday, Snapchat recorded the first ever live video feed of the holy city for millions around the world to see. Thousands circle Mecca’s iconic Kaaba, pose for photos on the balconies above the Al- Masjid moseque, pray and read from the Quran, break their fast with sweet dates and rice and speak into the camera to describe the feeling of being in midst of such a sacred gathering. Snapchat’s decision to dedicate its live stream to the Muslim hot city of Mecca has set social media alight. Digital analytics site Topsy recorded more than one million mentions on Twitter alone. Muslims reacted positively. 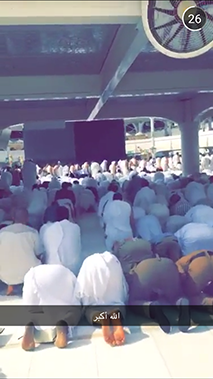 Many showed their appreciation to Snapchat for changing the perceptions people had of Islam. Social media has taken the world by storm, revolutionizing how we communicate, connect, and share with others. However, whenever there is a good side, there is also a bad side. Social media has produced a lot of negativity on the internet. It is good to see some media tools such as snapchat is being viewed as a positive for many. The live snap story of Mecca has had an especially positive response from all different kinds of people around the world. Whether you are talking or navigating in the car, it is not uncommon for phones to overheat during the summertime. Overheating not only slows your phone’s processor as well as drains the battery out, but also can cause permanent damage to your phone in the long term. Chevy is introducing the very first active phone cooling feature in some of its 2016 vehicles. Here’s how it works: an air vent, connected directly to air conditioner and ventilation system, is placed next to your charging bin. When you turn on the air conditioner, it automatically directs air to the charging bin, where your phone is placed. Everyone already spends so much time on his or her phone. Why not create new technologies/features that facilitate its use in all climates? Privacy campaigners and open source develops are up in arms over the secret installing of a Google listening software. The listening software, Chrome’s “OK, Google” hotword detection, is meant to detect words which make the computer respond when you talk to it. However, many users have complained its automatic activation without their permission when using Chromium, an open-source web browser from Google Chrome. This basically means that their computers are stealth configured to send what was being said in the room to somebody else, to a private company in another country, without your consent or knowledge. Open-source advocates proposed that Google was downloading a “black box” on to their machines that was not open source and therefore could not be doing what it said it was meant to do. 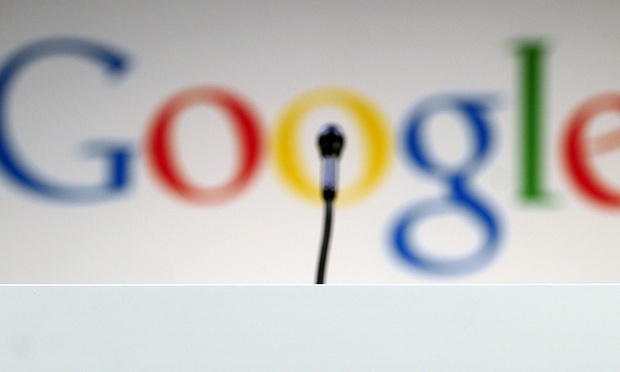 Google has since pulled its listening software from the open-source Chromium browser. Voice search functions have become an accepted feature of modern smartphones, smart TVs, and now browsers, but they have caused concerns over privacy. While most services require users to opt in, many have question whether their use, which requires sending voice recordings potentially exposes private conservations held within the home.